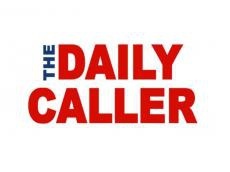 Influential US newspaper “The Daily Caller” published an article by Azerbaijan’s Consul General in Los Angeles Nasimi Aghayev on Armenia-Azerbaijan conflict on October 18, 2018, Azerbaijani Consulate General in Los Angeles said in a message. Referring to the upcoming visit by U.S. National Security Advisor John Bolton to the South Caucasus, Consul General notes that Armenia-Azerbaijan conflict will be one of the most important topics to be discussed during the visit. He further mentions that “the illegal military occupation continues to this day despite fierce condemnation by multiple United Nations Security Council (UNSC) resolutions, as well as by other major international organizations. The real obstacle to resolving the conflict and bringing the much-needed peace to Armenian and Azerbaijani people remains unchanged: Armenia’s refusal to comply with UNSC resolutions by withdrawing its troops from the illegally occupied territories of Azerbaijan and enabling the expelled population of these territories to return to their homes”. Citing the U.S. Ambassador to Armenia Richard Mills’s recent interview to the Armenian press, the Consul General states that “any settlement of the conflict requires the return of the occupied territories to Azerbaijan”. Nasimi Aghayev writes: “Armenia is experiencing a grave demographic decline. Tens of thousands of young people, lacking opportunities at home, are emigrating from the country in search of a better life. In contrast, Azerbaijan has become the largest economy in the region, building strong partnerships around the world, implementing multi-billion dollar energy and transportation projects connecting continents, and contributing to the global energy security”. The Consul General underlines that the peace with Azerbaijan “would tremendously benefit Armenia by bringing open borders, security and stability, stimulating investments, and integrating Armenia into the region’s vast energy and transportation network.” He states that to achieve peace Armenia must put aside belligerence and engage constructively in negotiations. In conclusion, Consul General Aghayev notes: “It is to be hoped that as a co-mediator with much at stake in the region, the United States will double its efforts in helping both sides achieve lasting peace and reconciliation”.